The Very Reverend Katherine Bowyer was Commissioned and Installed as the first female Dean of Newcastle at Christ Church Cathedral on Wednesday 4th October 2017. A full Cathedral congregation came together for the Festal Evensong to celebrate the 16th Dean of Newcastle. Following the installation the new Dean was welcomed with loud and prolonged applause. 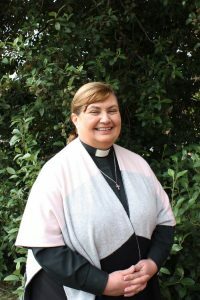 Dean Katherine commenced duties in her new role even before the service ended with the installation of the Reverend Michael Davies as Selwyn Canon. Members of the Cathedral Parish, Newcastle Diocese and the people of Newcastle will undoubtedly be well served by our new Dean.